To craft informed sermons, pastors scour commentaries that often deal more with minutia than the main point. Or they turn to devotional commentaries, which may contain exegetical weaknesses. The Teach the Text Commentary Series bridges this gap by utilizing the best of biblical scholarship and providing the information a pastor needs to communicate the text effectively. 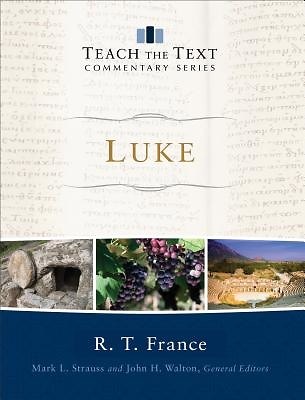 By keeping the discussion of each carefully selected preaching unit to six pages of focused commentary, the volumes in this series allow pastors to quickly grasp the big idea and key themes of each passage of Scripture. The text and its meaning are made clear, and sections dedicated to effectively teaching and illustrating the text help pastors prepare to preach. Full-color illustrations, maps, and photos are included throughout each volume to illustrate the world and events described in the Bible.